This Valentine’s Day there are several celestial influences that are going to make or break this day for several signs. The sun, as usual is in Aquarius so as per usual Aquarius and the other air signs like Gemini and Libra tend to be able to make the most of the holiday. Perhaps it is because these signs are flirtatious and versatile. Rarely are they stuck being disappointed on Valentine’s Day because they know how to make conversation and flirt with people. Also these air signs are very social and open to meeting new people if someone disappoints them. Perhaps the biggest influence on all sign son this Valentine’s Day goes back to Saturn moving retrograde in Libra on January 25th. This is a big planet with a big impact on finances and our freedom of choice and movement. Less people will be out celebrating and spending a lot of money this Valentine’s Day expressly because of that. The air signs will be particularly affected and prefer to entertain others at home. Venus, the planet of love also squares Jupiter, the planet of money on February 6th. This also implies a shortage or tightening of the belt. 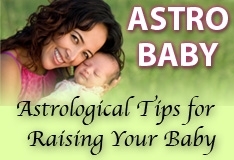 The signs affected the most by a lack of cash will be Capricorn and Aries. Chiron enters Pisces on this Valentine’s Day making this a very emotional one for water signs. Many individuals born under water signs will be more obsessive and romantic than usual. Pisces, Cancer and Scorpio natives can expect more attention from their partners. Here is a look at how your Valentine’s Day might unfold for each Zodiac sign on Feb 14th 2011. You may not be as rich as you have been on other Valentine’s Days in the past so you may have to make do and entertain a loved one at home. This will not be that big of an issue as the two of you will be quite happy to curl up together and have a celebration of your own. You may be short on cash but not on ideas about how to entertain your lover this Valentine’s Day. You are in the mood for love and you don’t need jewelry or fancy presents to make it clear to the one you love just how smitten you are with him or her. Single Bulls might have to rough it a bit at home as distance or work duties might separate you from someone you have your eye on. You will more than likely be invited to a lot of parties on this holiday and if you are single do not be reluctant to check them out. If you are not single you will be more inclined to spend the holiday alone in bed with someone who you really love. Some Geminis will be asked to tie the knot this year. You feel very passionately about someone and this Valentine’s Day the planets favor you going all out to show that special someone just how committed and devoted you are to them. If you are a single male the cosmos really is favoring a marriage proposal. If you are single be sure to attend the parties you are invited to as you are destined to meet someone that you really like. You might be dealing with a conflict of interest on this Valentine’s Day between spending the evening with one person or another. It is best to strike out on your own and go out to a party if you are single. If attached you might be dealing with a person’s jealousy. You might be a bit short of money this Valentine’s Day but there is nothing wrong with cooking a nice homespun meal for those you love and even having the neighbours over to listen to music and have a few drinks. If you have pets, don’t forget that they could use a little extra love on VD day as well. You may not be able to do this Valentine’s Day up in style but if you are attached, your partner is going to appreciate very simple gestures such as a drawing, a home baked meal or a bouquet of flowers. If single be sure to go out to meet people at parties as the planets indicate that you could meet someone special at this time. This could be a very intense Valentine’s Day as you could be dealing with someone that is almost obsessive when it comes to their love for you. You may end up discussing matters of commitment with one or even two people on this evening. If you are single it is best to play the field and if you do not plan to stay with your current partner it is best to be honest. You are likely to be invited to many parties tonight and whether single or attached why not hop from event to event to meet as many people as you can. If you do go with your lover do be sure not to flirt too much with others as a show of flirting could backfire on you and make you less desirable. Be sure to focus on your partner to prevent jealousy. A shortage of funds may prevent you from going out on the town and doing Valentine’s Day in style, however you will not be short of attentive suitors. Why not throw a pot-luck Valentine’s Day party for people in the neighborhood to help celebrate the holiday. Your altruism will be greatly appreciated as you are the most gracious host in the Zodiac. This is the ideal holiday for you to show off your skills as a host or to do it up big on the town. People will be looking to you to be the life of the party and you will have the resources and enthusiasm to pull it off. A special someone is bound to let you know how much you mean to them without having to say a single word. Chiron in your sign can make you very sentimental and emotional. If you are single it may be difficult not to phone up an ex. Obsessive or jealous feeling may also come up in you whether you are attached or not. This year the holiday is best spent inside with your one and only. If you are single go out and see a movie with a couple of good friends to get your mind off a relationship that may not be working well or the fact that you may feel a bit lonely.